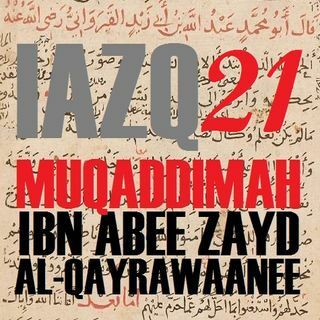 This is the concluding session of our study of the work of the great Maalikee scholar, Imaam Ibn Abee Zayd al-Qayrawaanee (d.389), from his book, ar-Risaalah, the beginning of which is the focus of our course in 'Aqeedah (Muslim Beliefs). This class covers the topic of avoiding religious argumentation. This class was recorded at al-Masjid al-Awwal in Pittsburgh, Pennsylvania (USA) on 1437.12.29.